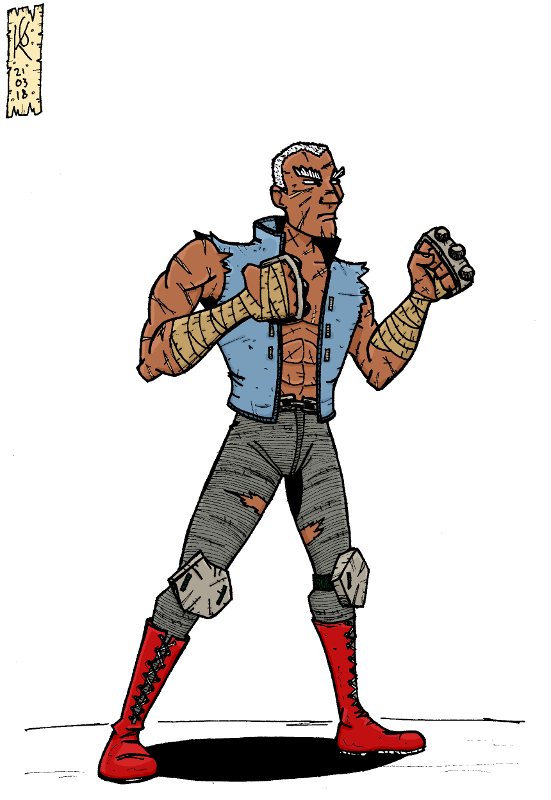 This is Jonats the Enforcer, from my current Mutant: Year Zero game. He punches things. The player-characters hate him. I'm going to guess he also likes hitting people with his knees. Do the other characters hate him because he punches indiscriminately, or is it for some reason unrelated to punching? Like, he smells bad, or has an annoying laugh. Ben's character was supposed to hate him because he killed a close friend of his. The other characters decided to follow along.